Special counsel Robert Mueller did not find evidence that U.S. President Donald Trump's campaign "conspired or co-ordinated" with Russia to influence the 2016 presidential election but reached no conclusion on whether Trump obstructed justice, Attorney General William Barr declared Sunday. Special counsel Robert Mueller did not find evidence that U.S. President Donald Trump's campaign "conspired or co-ordinated" with Russia to influence the 2016 presidential election but reached no conclusion on whether Trump obstructed justice, Attorney General William Barr declared Sunday. That brought a hearty claim of vindication from Trump but set the stage for new rounds of political and legal fighting. Trump, pleasure tinged with resentment after two years of investigations, declared "complete and total exoneration. "It's a shame that our country has had to go through this. To be honest, it's a shame that your president has had to go through this," he said. But Democrats demanded to see the full Mueller report and insisted that even the summary by the president's attorney general hardly put him in the clear. 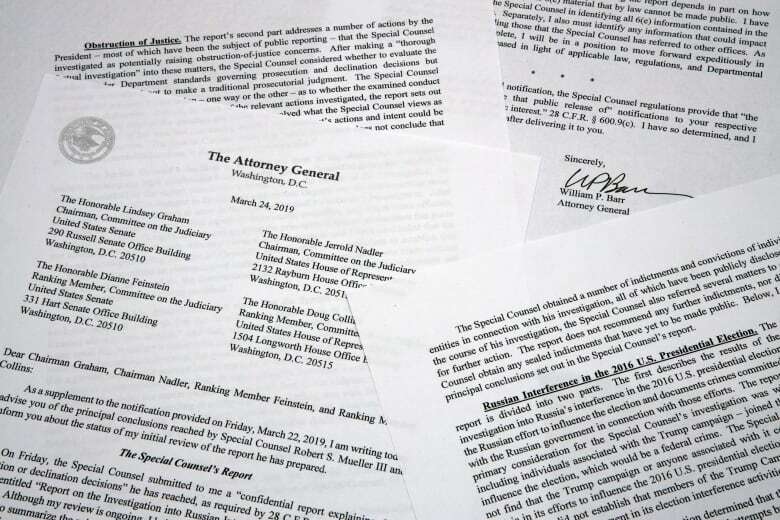 Mueller's conclusions, summarized by Barr in a four-page letter to Congress, represented a victory for Trump on a key question that has hung over his presidency from the start: Did his campaign work with Russia to defeat Democrat Hillary Clinton? That was further good news for the president on top of the Justice Department's earlier announcement that Mueller had wrapped his investigation without new indictments. It could deflate the hopes of Democrats in Congress and on the 2020 campaign trail that incriminating findings from Mueller would hobble the president. 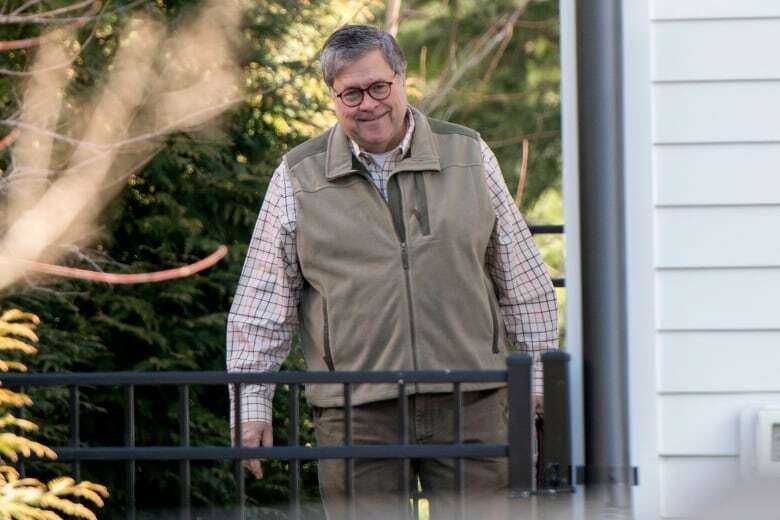 Yet Barr, who was nominated by Trump in December, and Deputy Attorney General Rod Rosenstein, who appointed Mueller in May 2017 and oversaw much of his work, went further in Trump's favor. Barr said he and Rosenstein had determined that Mueller's evidence was insufficient to prove in court that Trump had committed obstruction of justice to hamper the probe. Barr has previously voiced a broad view of presidential powers, and in an unsolicited memo last June he cast doubt on whether the president could have obstructed justice through acts — like firing his FBI director — that he was legally empowered to take. 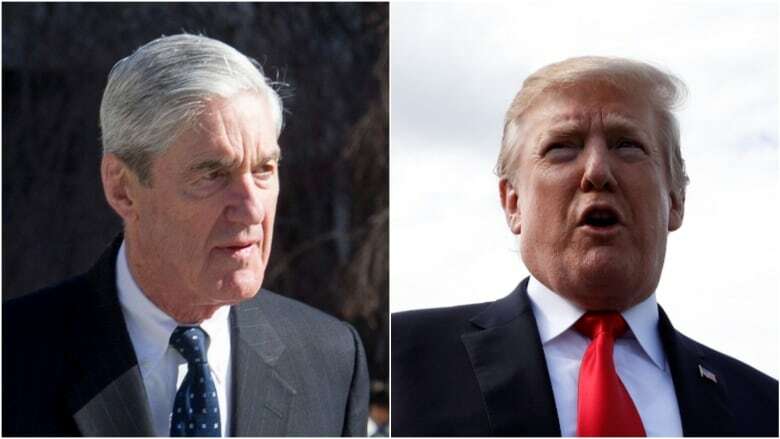 Was the Mueller report a 'total exoneration' for Trump? U.S. politics panel weighs in on The National. Mueller's investigation ensnared nearly three dozen people, senior Trump campaign operatives among them. The probe illuminated Russia's assault on the American political system, painted the Trump campaign as eager to exploit the release of hacked Democratic emails to hurt Hillary Clinton and exposed lies by Trump aides aimed at covering up their Russia-related contacts. Thirty-four people, including six Trump aides and advisers, were charged in the investigation. Twenty-five are Russians accused of election interference either through hacking into Democratic accounts or orchestrating a social media campaign to spread disinformation on the Internet. Though Mueller did not find evidence that anyone associated with the Trump campaign coordinated with the Russian government, Barr's summary notes "multiple offers from Russian-affiliated individuals to assist the Trump campaign." In light of the very concerning discrepancies and final decision making at the Justice Department following the Special Counsel report, where Mueller did not exonerate the President, we will be calling Attorney General Barr in to testify before <a href="https://twitter.com/HouseJudiciary?ref_src=twsrc%5Etfw">@HouseJudiciary</a> in the near future.